Natasha Badaa is a senior at Oregon State University. She is studying Business Management and French. 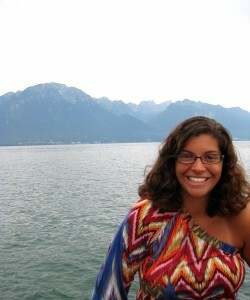 During Fall 2012, Natasha studied abroad at Grenoble Ecole de Management in France through API. During my study abroad experience in Grenoble, France, I had one goal: do something every day that scares me. Although I was a thousand miles away from what I called home, I dared myself to go outside my comfort zone in a foreign country and a foreign language. One of my favorite memories related to achieving my goal happened during a weekend trip to Marseilles, France with my friends. Marseilles is famous for the Calanques, which are a beautiful set of cliffs that extend off the coast. Tourists travel from near and far to hike the cliffs down to the Mediterranean Sea and swim in the private lagoons. My friends and I traveled by bus to the trailhead and hiked for over an hour to this unbelievable swimming spot surrounded by cliffs. 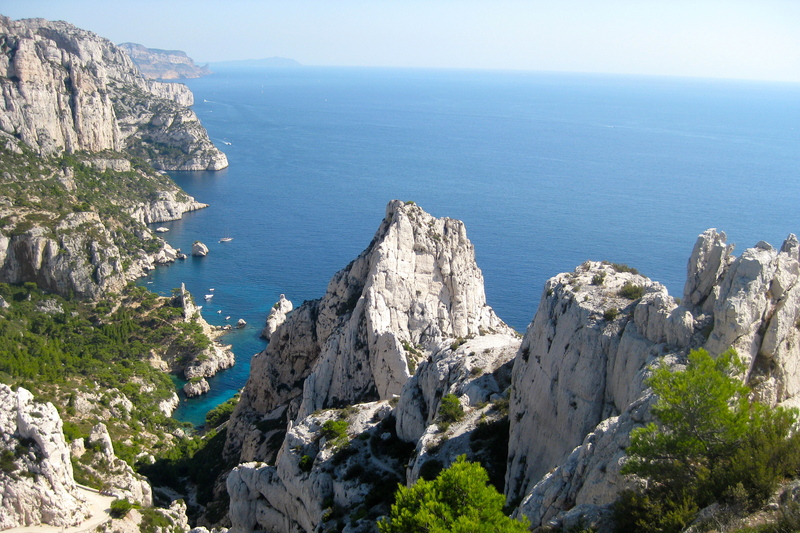 There was something special about this place we found in the Calanques in the south of France. It was a place to escape from reality and immerse ourselves in the scenery of the rocks and sea. Climb one of the cliffs and perch up there for a while. Admire the humbling view. You’ll quickly see what I mean. The view extended for miles and miles above the clear, aquamarine water. Tourists lined the rocks, jumping off one by one into the sea. Terrified of the prospect, I was determined to try it anyways. My friends and I climbed a huge cliff that was nearly 15 meters tall. I was shaking with the fear of slipping and falling. Frozen in this fear, I perched on the rock and refused to jump. It was not until my friend climbed back up and convinced me that I could do this. She reminded me about how great it would feel to accomplish something I was afraid of. Together we jumped off that cliff, together into the deep blue water. My time abroad meant conquering fears and accomplishing goals that I never dreamed were possible. 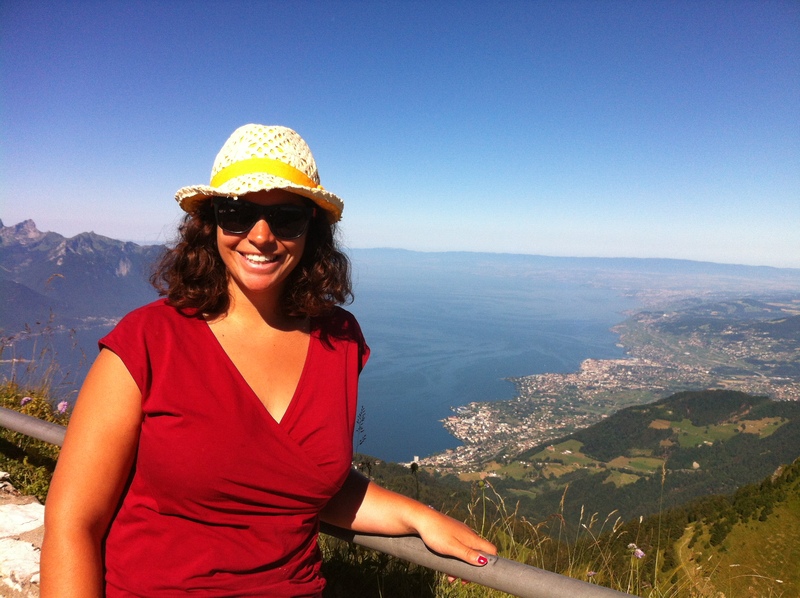 In five months, I traveled to new countries, became fluent in a language, hiked mountains in the Alps and jumped off cliffs in the Mediterranean Sea. I made friends with locals, went wine tasting in the south of France, and learned more about myself than expected. Studying abroad has changed my life in more ways than I could have predicted. I learned independence and confidence. I learned culture, American and otherwise. My biggest piece of advice to anyone who wants to study abroad is this: do not hesitate about anything. Be brave and jump off cliffs. Posted in API, College of Business, France, Returnee, study abroad.